Oh well, lets just start from the packaging! The packaging is quite simple in my opinion. It made with a thick cardboard coated with glossy paper- light purple-pink color plus a thick transparent paper to peek the shade (dont worry though, it's not easily broken, it's sturdy enough i guess). 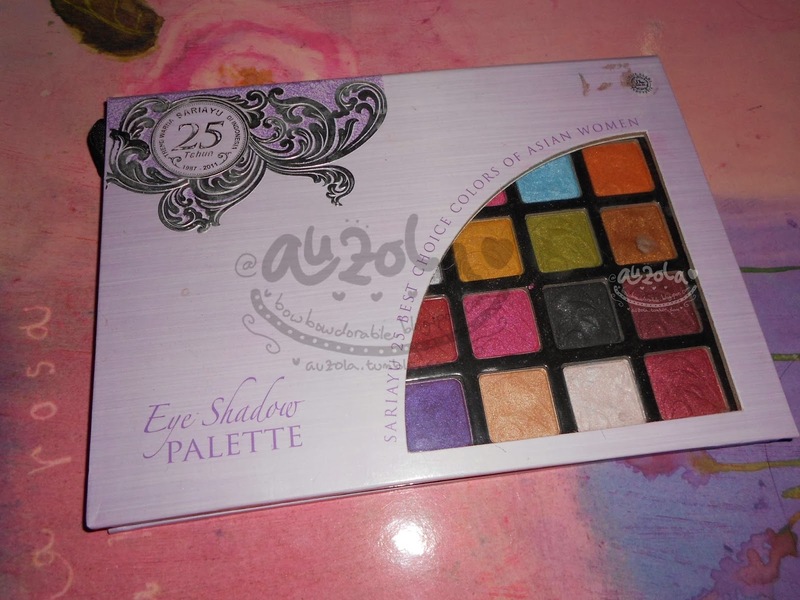 And it has the tittle of the palette embossed with a cute design in upper left of the front packaging. It has the embossed tittle too in t he back, only it's on the upper right area. You can see all the detail here, the colors collection, ingredients, expire date, and else. 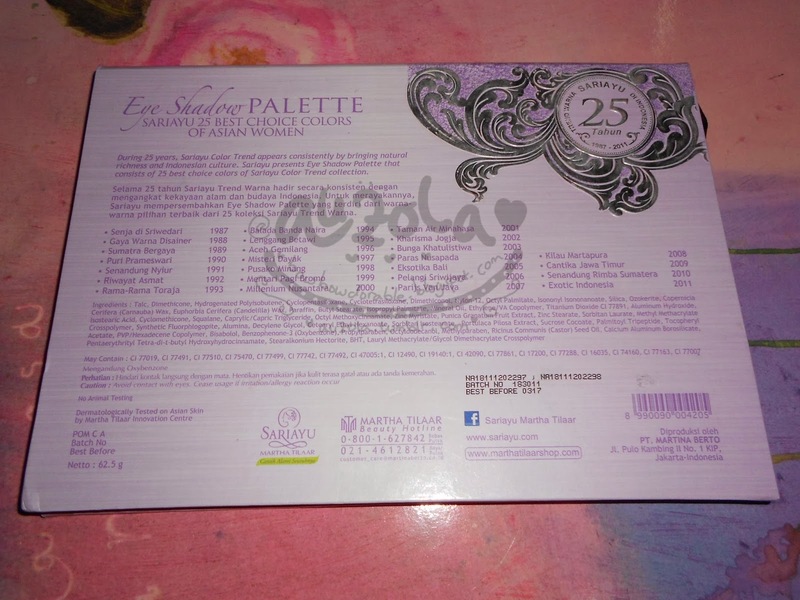 So like i told you before, this palette consist of the best eyeshadow color from sariayu color trend collection since 1987-2011, 25years! Anyway it claimed that no animal was harmed during the making progress of this palette and no animal testing too. 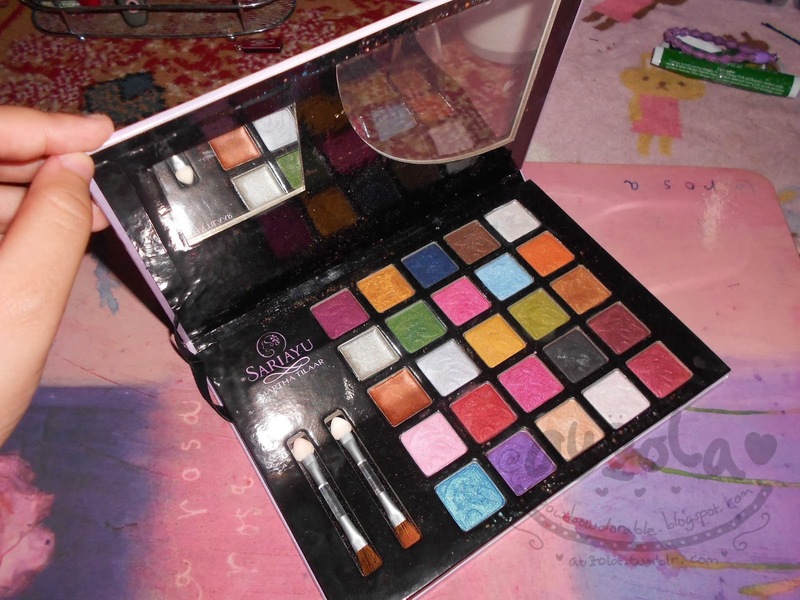 Inside there are: a small mirror (about 5x5cm), 25 eyeshadow plates (2x2cm each), and two small two-ended brushes. Well, i should say that i dont like the brushes, the sponge side might come in handy and quite soft, but the bristle side is kinda coarse for my liking, so i ended up never use the brushes, instead i use my other brush when applying the shade. 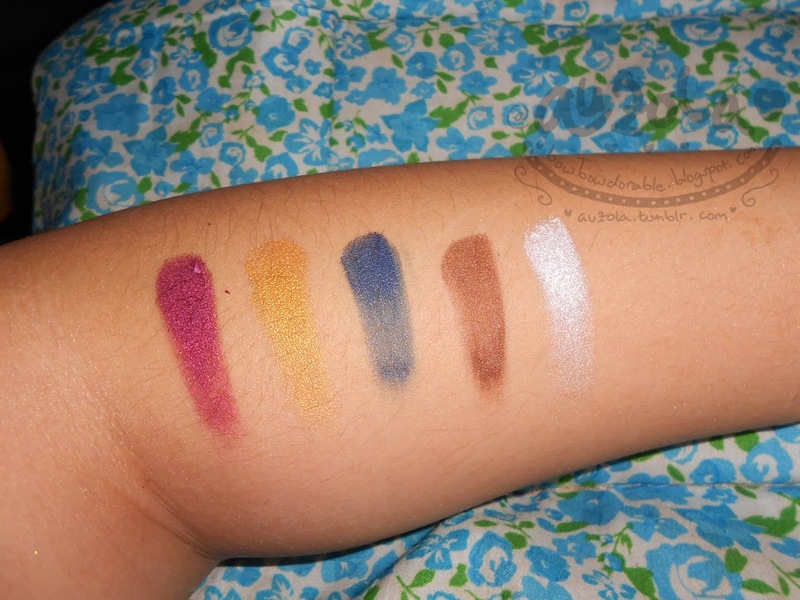 The closer look of the eyeshadow color. 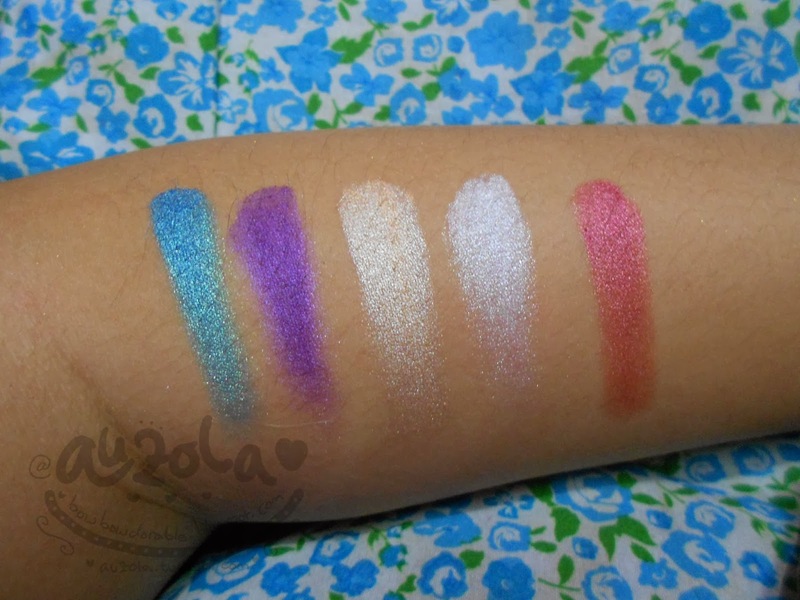 Two of them (the silver and brown on first column) are cream gel eyeshadow (something like maybelline color tattoo) and 25 of them are shimmer eyeshadow. There is a leaf design embossed on each of the shade (except the two cream gel shades). I like it, it looks pretty hehee. 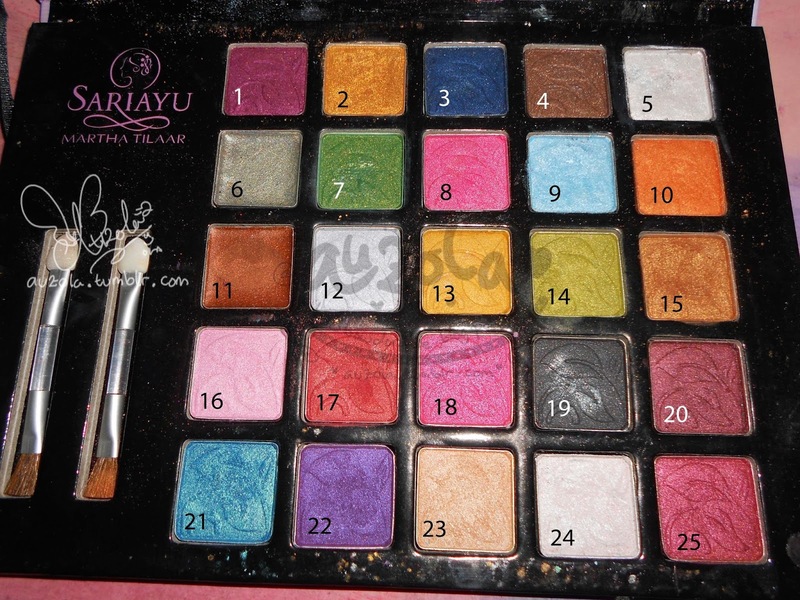 Aaaannddd, since i dont know the each name of the colors (too bad they dont mention it), so i made my own number, in case i made a tutorial eye makeup with this palette you guys will not be confused which color i use. 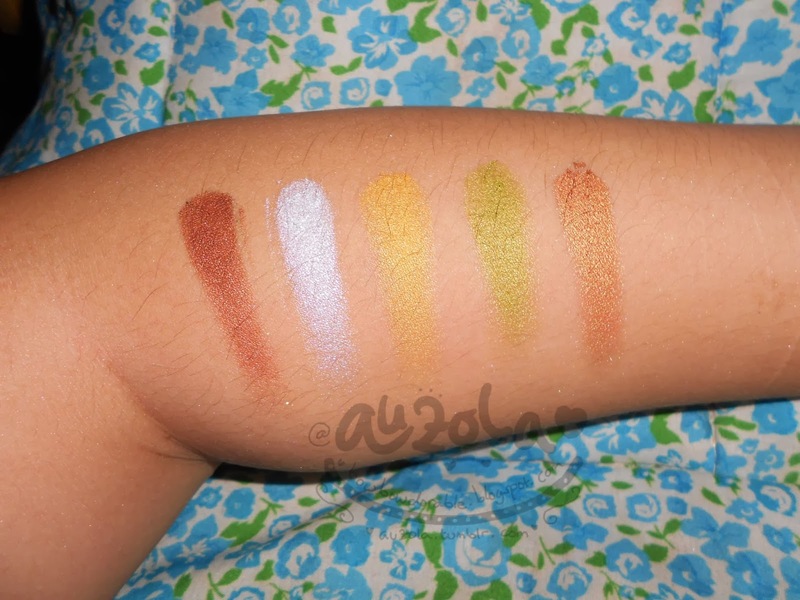 Now let see the swatches! Well i should say that it pigmented a lot! The colors are amazing and really pop out. 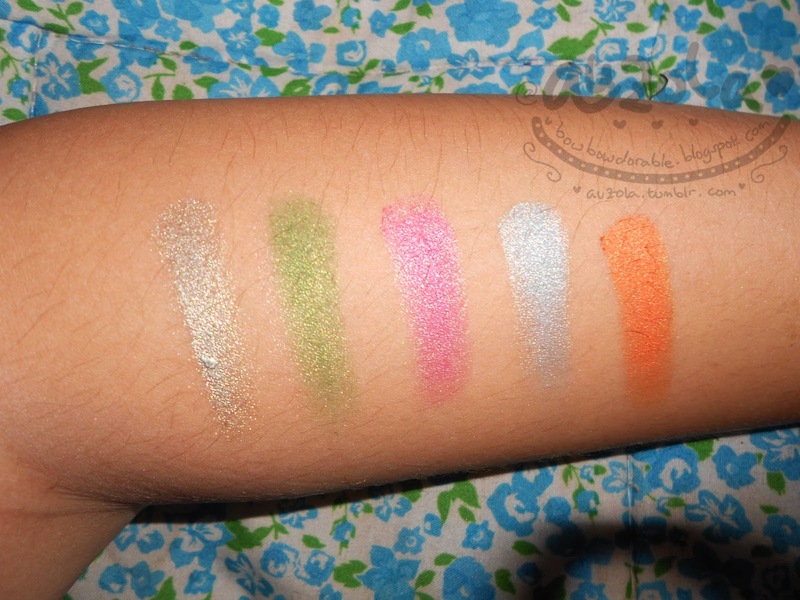 Only one swipe and the color will come out clear and super pigmented, but my cam is not very good, so i need to swipe it about three times so the color will not wash out when i take the pic, but in real life, one swipe is already super! 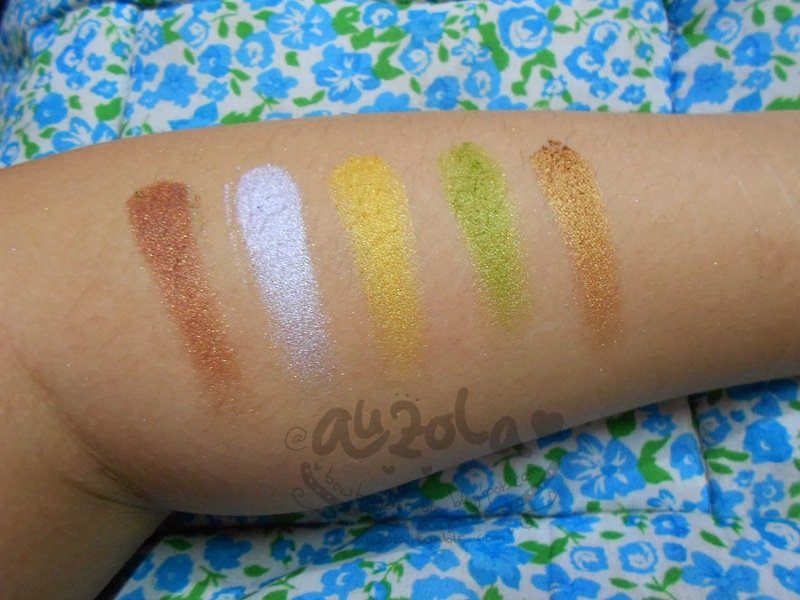 I dont even use eyeshadow base for this swatch, even though i need a base for my eyes, not because it's not pigmented on my eyes, but because my eyes tend to get oily, so it will disappear soon enough without base. Also, you swipe it too much it's gonna be too powdery and sometimes the excess fell on my cheek (it's annoying, especially when im done with face makeup). But if you take it little by little and tap it on your hand before using it, the excess will fall somewhere else and not your face. The packaging is light and thin, make it easier when i need to bring it somewhere (though im gonna need a bigger bag). Too bad it looks just too plain for my liking, i mean not that cute (i love cute things), but i kinda like the embossed tittle, it make this palette a bit special. Also 2x2cm for each shade is nice, it gonna need quite sometimes until the shade touches pan. 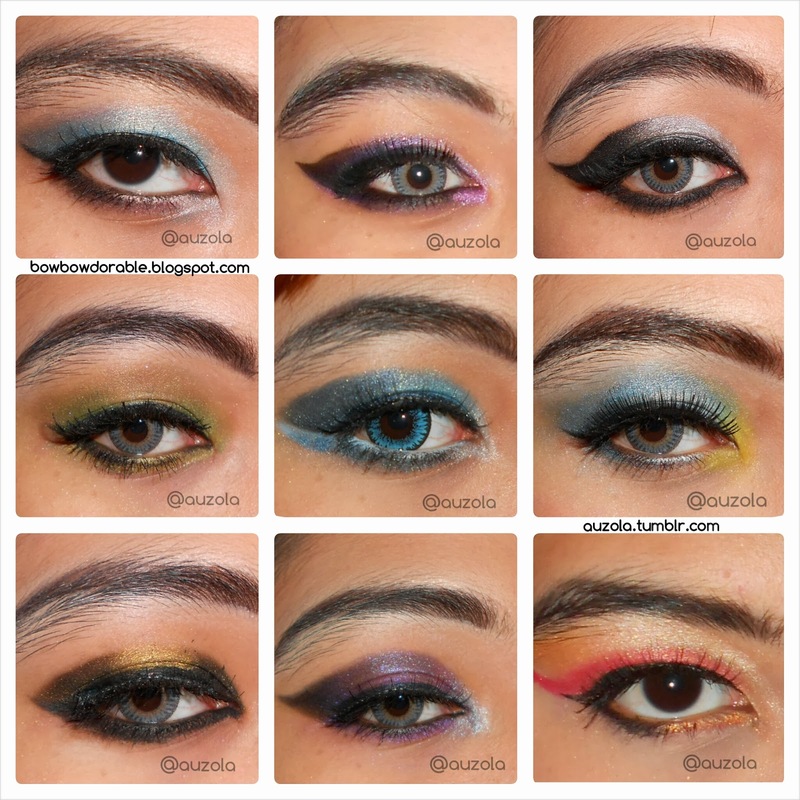 I also like the colors option, so nice and each is super nice to make a different eye look. Too bad the red color is not THAT red, i mean not that it isnt pop out or what, it pigmented well, but i need a redder red than this hahhaa. But it got almost the colors i need, so im still happy owning this. 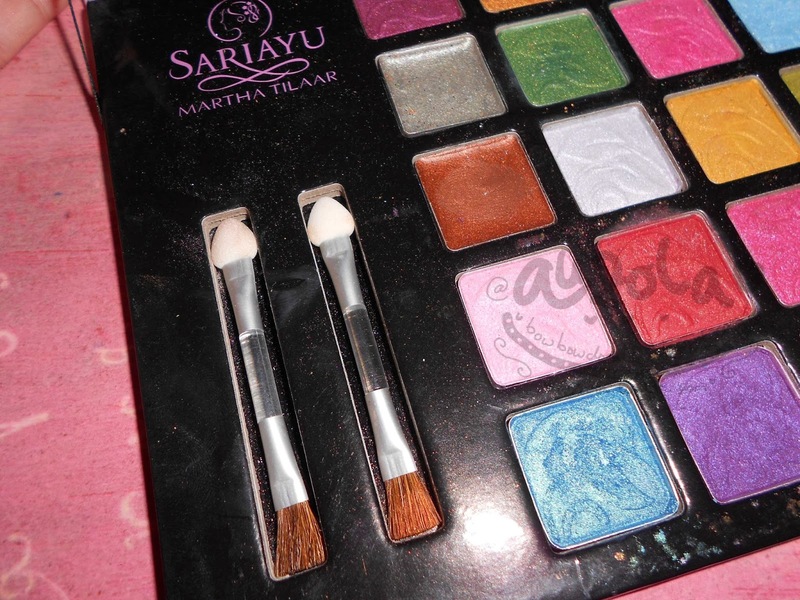 The other things that bugging me is all of the colors are shimmer, sometimes i need a matte one, perhaps Sariayu should make a matte collection palette (more than three color each of the palette of course, im way to lazy to keep the small eyeshadow palette). 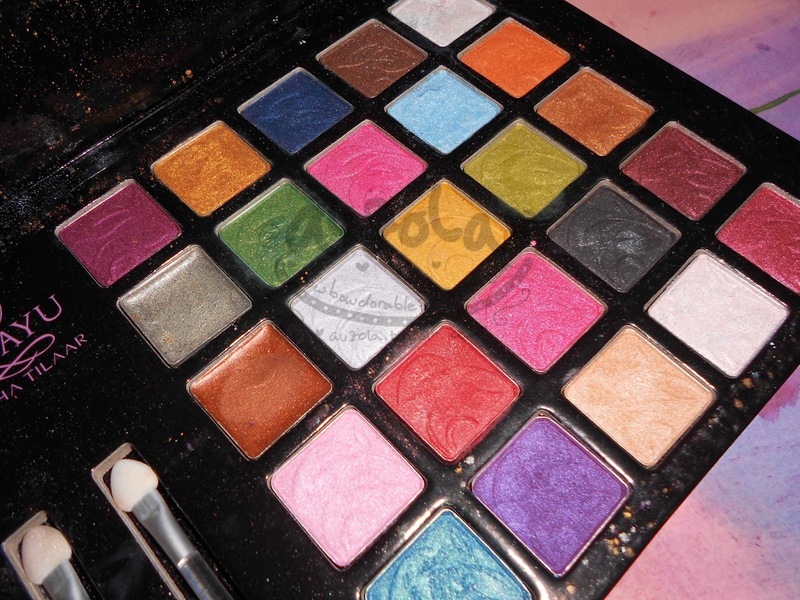 The other plus thing about this palette is that this is a local product! It means that our local makeup is getting better and better, im soooo proud! 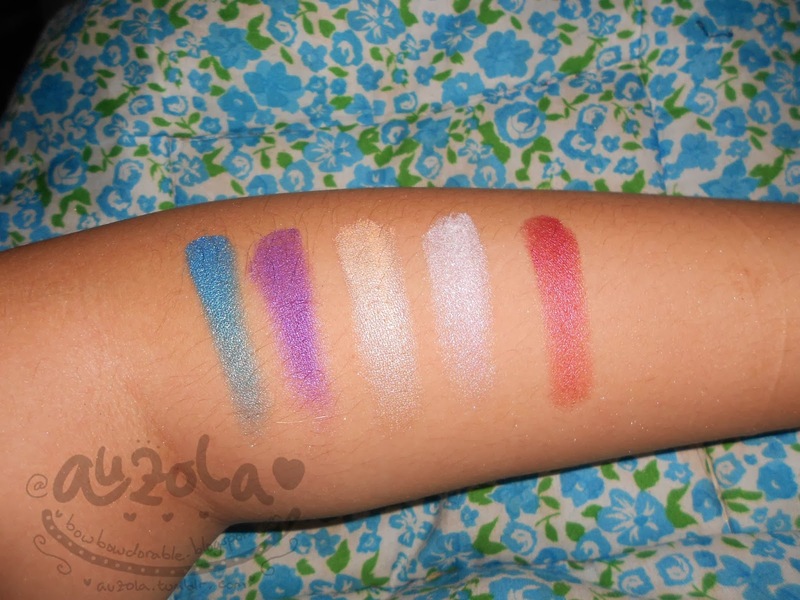 Overall i loveeee this palette! 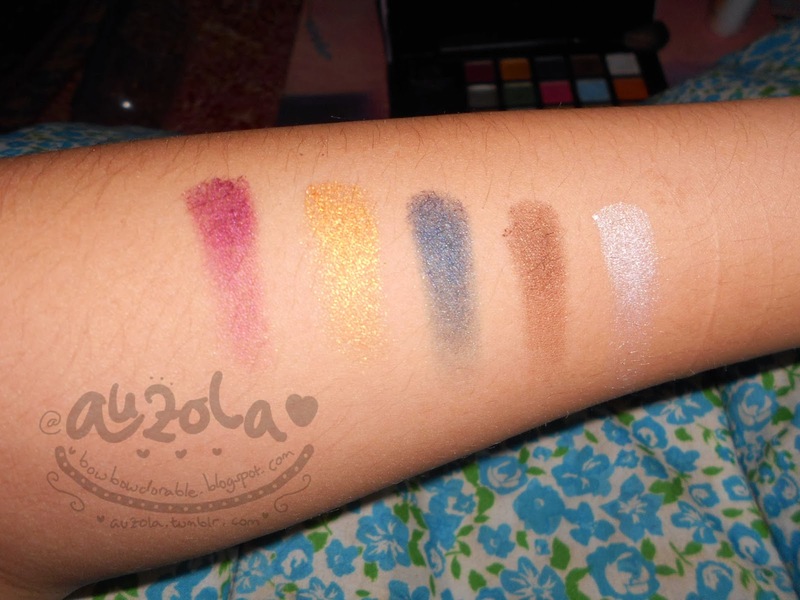 I recommend this palette for you guys who need a shimmer eyeshadow palette! That's my review, i hope it helps! See ya on my next post, adorable angels! 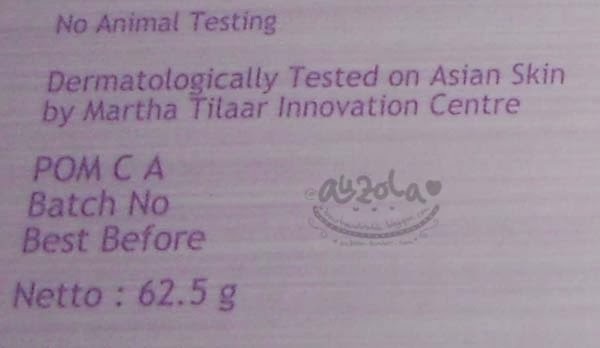 wah baguss , warnanya keluar banget , itu dioles berapa kali di tangannya ? 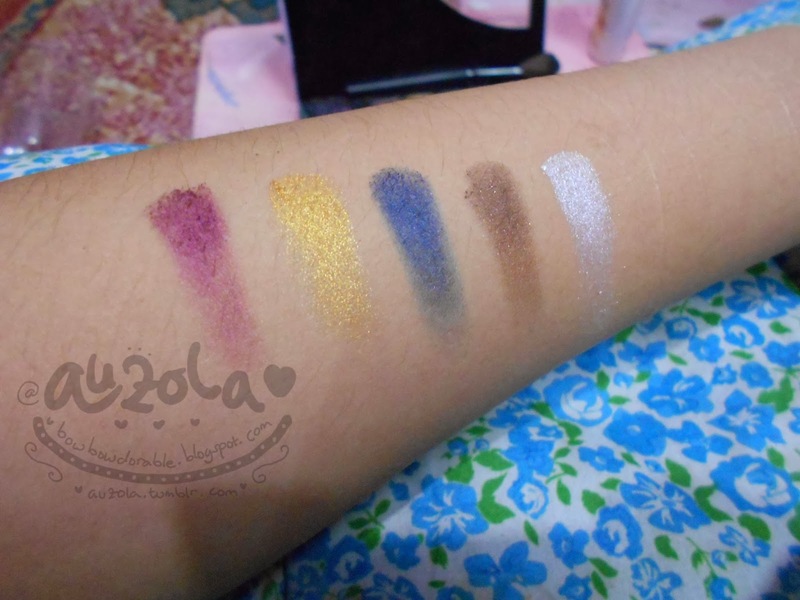 aku juga pernah nyobain palette ini yang punya temenku. 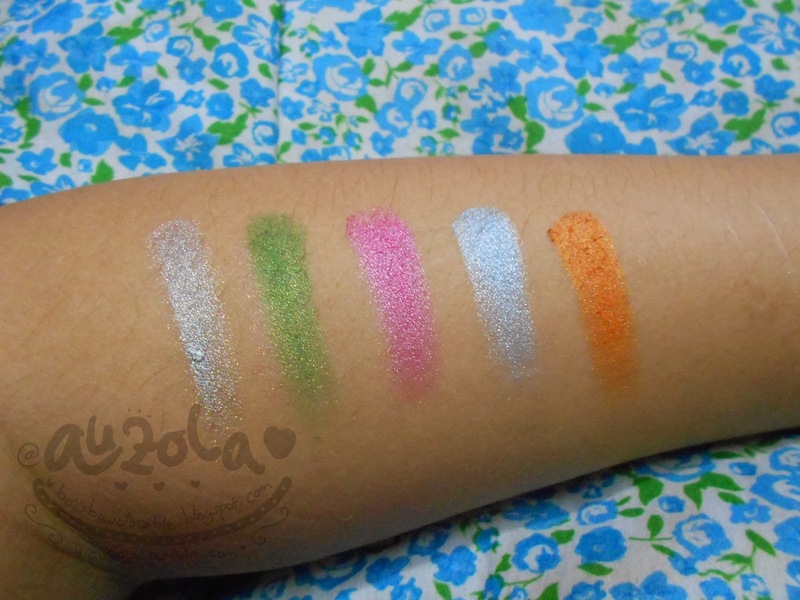 Aku suka soalnya warnanya pigmented banget. 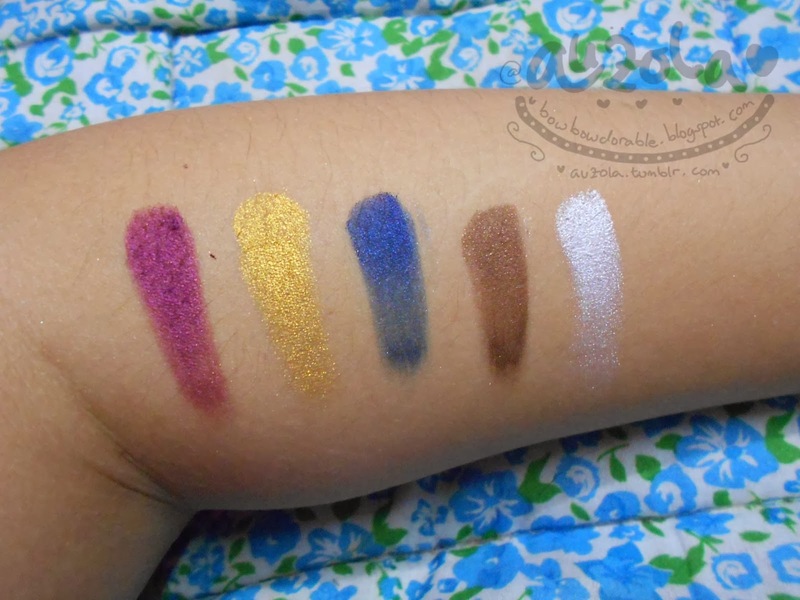 Wow looks very pigmented! I love the looks you created with the palette!